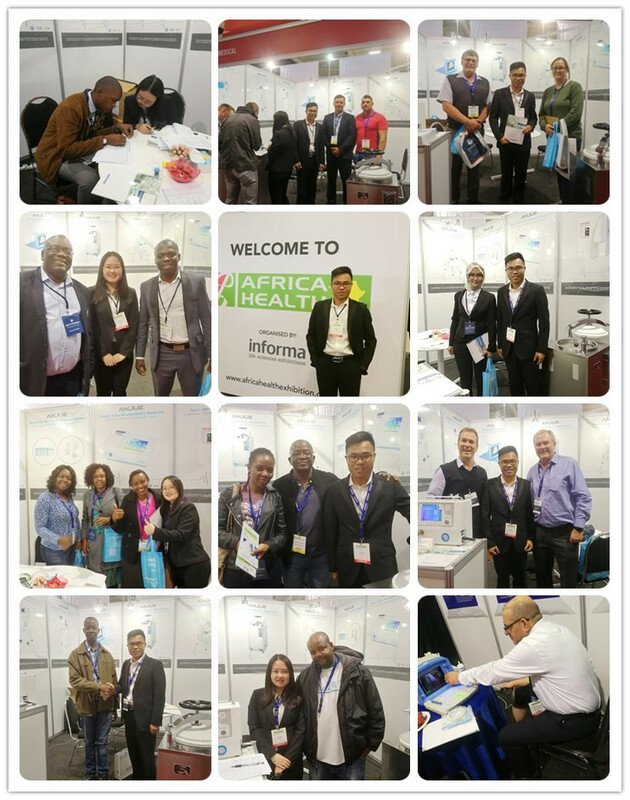 From May 28th to May 31st, 2018, our company came to Johannesburg in South Africa to participate in Africa Medical Exhibition the three-day . This exhibition was started in 2011. It is an excellent platform for manufacturers in the medical industry to expand their business in Africa. It is an important gathering place for professionals in hospitals, pharmaceutical industries, medical academic research, and retailers in Africa and around the world. At this exhibition, we showed the three products to the general public, namely Prtable Ventilator, Ultrasound Machine and Steam Sterilizer. Affordable price and high quality, that has attracted many customers to negotiate. Many customers have expressed their desire to buy on the spot.At the end of the exhibition, the greatest feelings are the enthusiasm of the African people and the potential of the African market. We look forward to opening up a whole world in the African market.